The processing date for a payment is the date of which your card is processed. 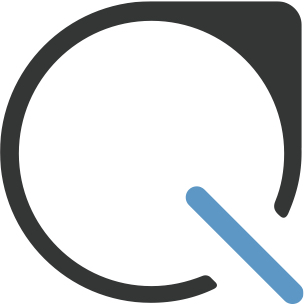 The delivery date is the date of which your payment is guaranteed delivery by. Depending on the funding method of your recipient (paper check or electronic transfer), the processing date can be as soon as same-day (in which you will be notified prior to payment submission). 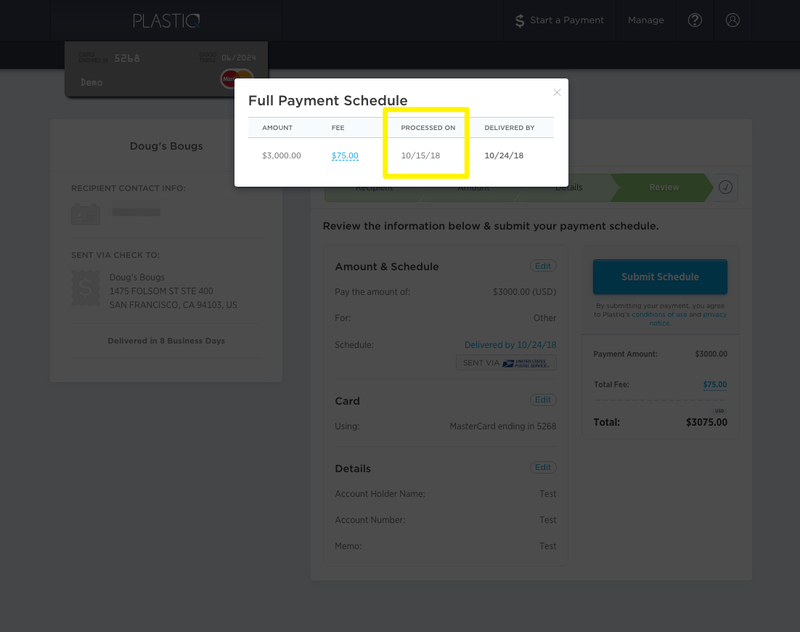 You are able to view the processing date of a payment both before and after submitting a payment. See below for the locations of each. 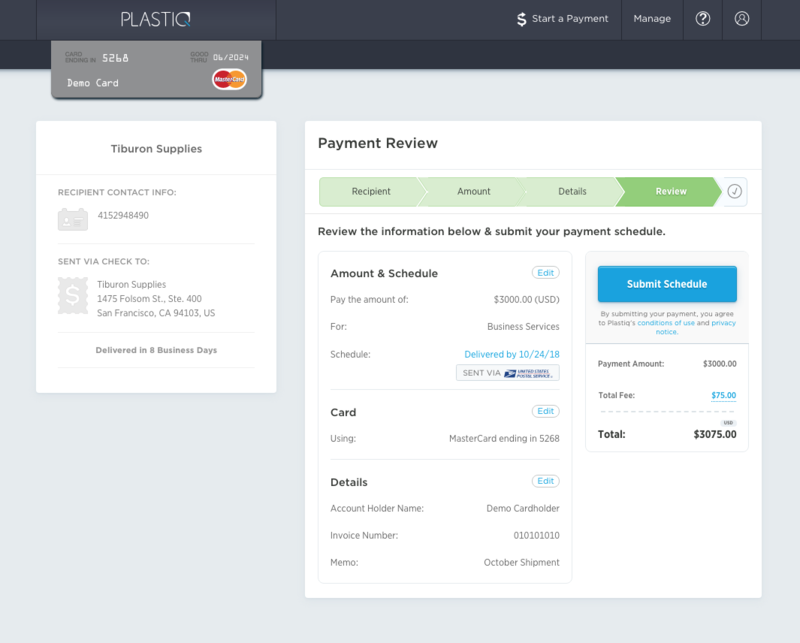 On the payment review screen, click the blue "Delivered by" under the Amount & Schedule section. A window will pop up and show you the processing date for the payment. 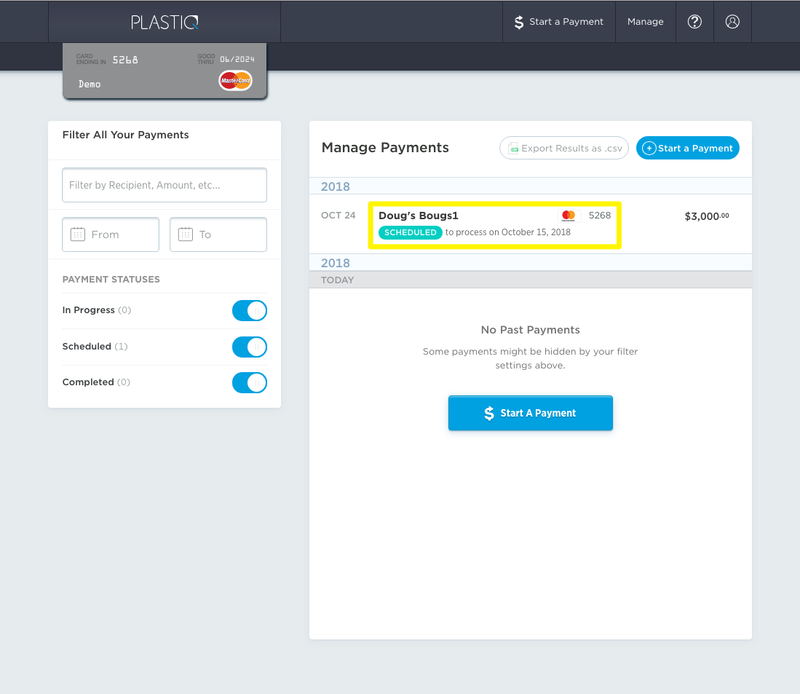 Go to "Manage Payments" and find the payment on the payment timeline. Right under the recipient's name, you will see the processing date of the payment.